Here’s a neat little app that allows you to hide Terminal just under the menu bar, retrievable and dockable using a quick keyboard stroke (Ctrl-F1 by default). It looks like Microsoft’s HD Photo standard will be accepted as the next JPEG. Alas poor JPEG2000, we hardly knew ye. I’ve only played through the Tutorial level but this game is mad fun. Blood, swings, foot grabs… who could ask for more? Friend of a friend link off a link kind of Youtube find. 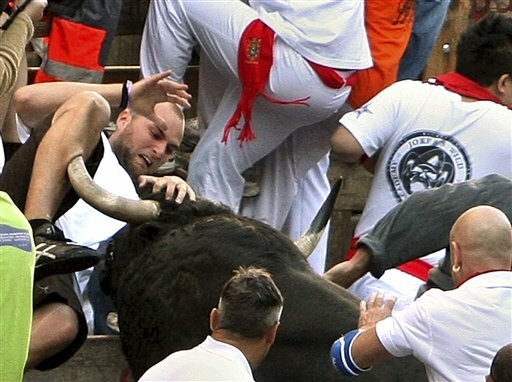 There’s nothing like getting gored by an angry bull to validate your life and testosterone levels. Mario Kart on Roids… Launch that Red Turtle Shell already!!! That thing looked and sounded like it had gears?!? 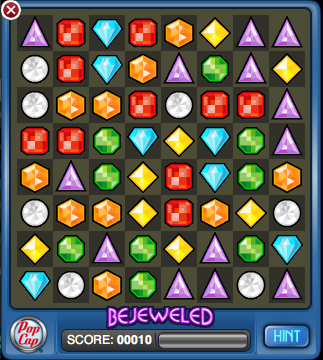 You can now play Bejeweled on your iPhone. It’s a bit slow but this will have to do until iTunes offers iPhone firendly games. August 1, 2007 Posted by xraytech | Games and Gaming, Geeks and Gadgetry, Software	| Comments Off on iPhone users Rejoice!! !